Christine Haynes' New Book Blog Tour! 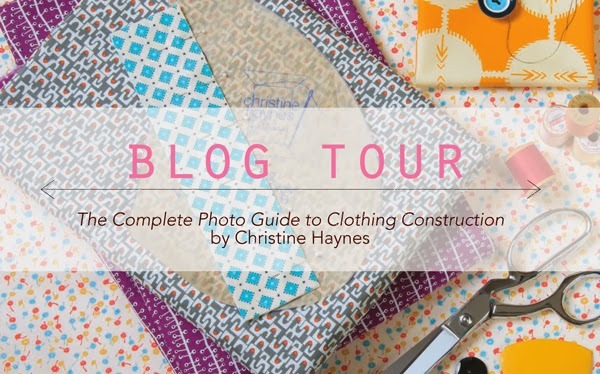 I am so excited to be reviewing The Complete Photo Guide to Clothing Construction by the lovely Christine Haynes. 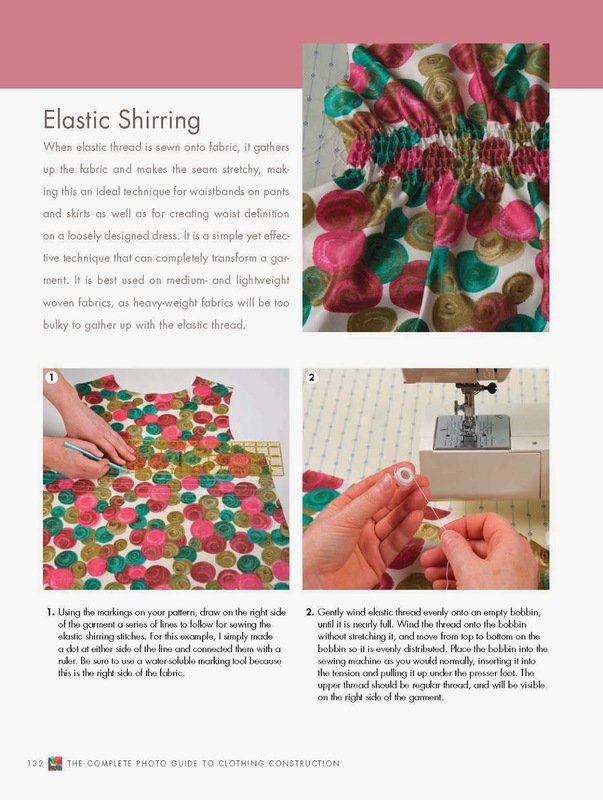 If this book isn’t already on your radar, it is essentially a sewing encyclopedia with photographed step-by-step instructions of everything garment sewing related. Not only is Christine my co-worker here at Sew L.A., but a close friend of mine as well. That being said, I am one tough critic. I hold my friends to the highest of standards, and Christine did not disappoint. As a sewing instructor I am often asked to recommend a good reference book for beginner sewers, and The Complete Photo Guide to Clothing Construction fits the bill. 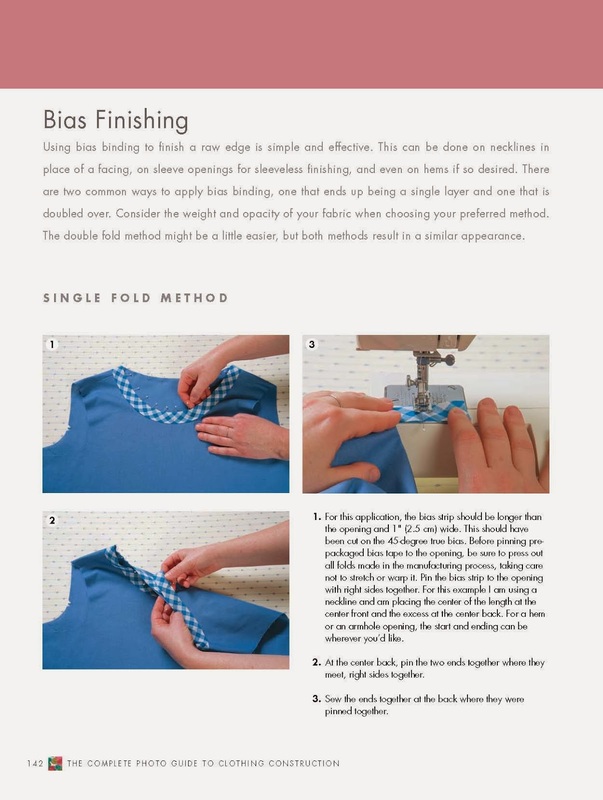 Christine’s book is broken into five easy to follow sections, each detailing different elements of garment construction. “Tools of the Trade” walks you through the various tools needed for sewing from the machine itself, to pressing tools and notions. 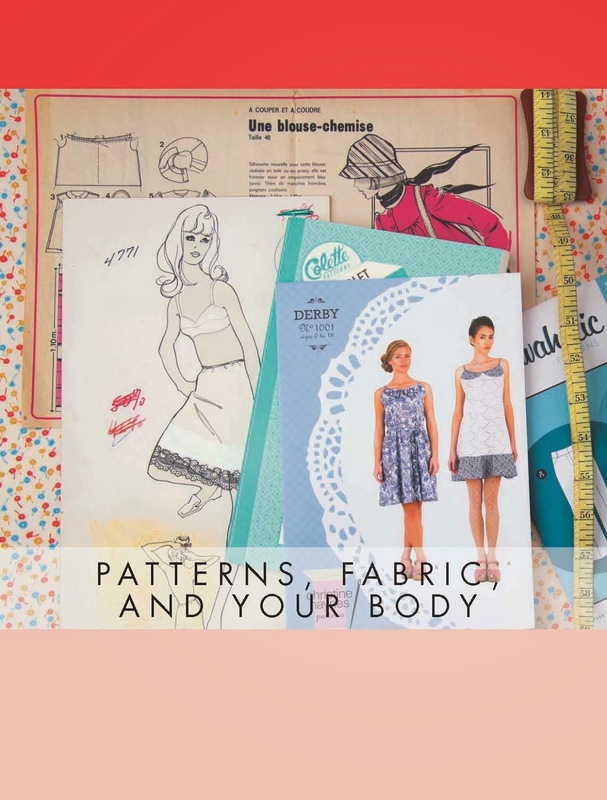 “Patterns, Fabric and Your Body” breaks down the process of choosing a pattern, your size, your fabric choice and the cutting and marking process. “Construction Basics” launches you into some simple sewing techniques such as seam finishing and garment closures. “Taking Shape” conquers all of those tricky techniques that give our garments shape like darts, gathers, pleats and more. If all of these assets aren’t enough, this book is genuinely adorable! Each page is full of some of my most favorite fabrics and patterns. All of us ladies at Sew L.A. are seriously excited to have this book in the shop. I would recommend it to either a sewer who is looking to expand their skill set, or a novice seamstress who is looking for a reference book to supplement their sewing classes. Often times in sewing patterns, all of these essential techniques are explained with inadequate detail, or not at all. This can be so frustrating for the novice sewer who is looking to challenge themselves with new patterns. With a good foundation of basic knowledge and this book by your side, you can confidently master new skills. I think the best part of this book is the fact that it doesn’t read as a bland instruction manual, but rather as a good girlfriend dishing all her sewing tips. She effortlessly explains challenging concepts comprehensively and concisely. 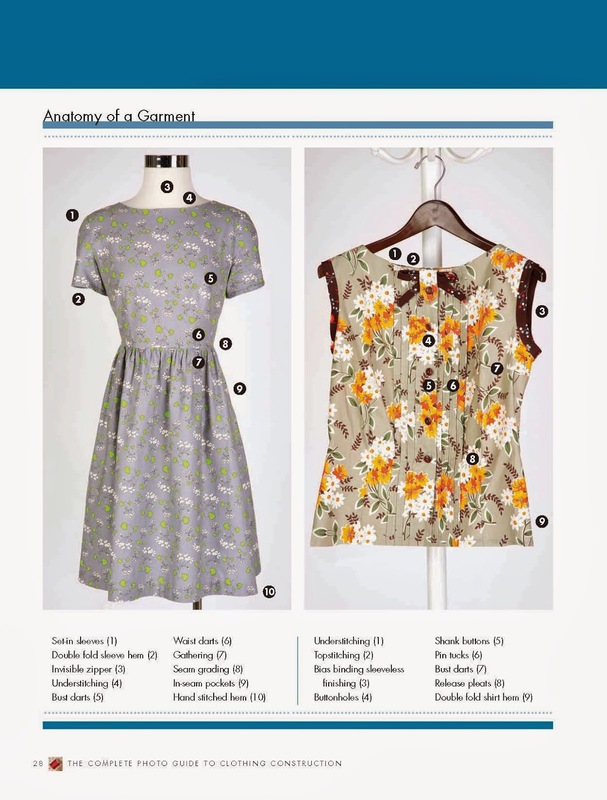 Thanks Christine for writing one AMAZING reference guide for sewing! Free Class for Five Lucky Ladies! Over the past few months, I have been hard at work on some new Sew L.A. patterns, and in order to test the latest design, I'm offering a FREE CLASS! The class is on two consecutive Saturdays - March 1st and 8th - from 2pm till 5pm. In order to enter the drawing, you must be able to attend both classes. And this drawing is open to all students who have taken one other beginner garment class: Cute Skirt, Easiest Skirt, Pajamarama, Tess' Dress, Lela Top - talk to the ladies at the shop if you have questions about your sewing level! And the description: six gores (or panels) make up the body of this flared skirt. 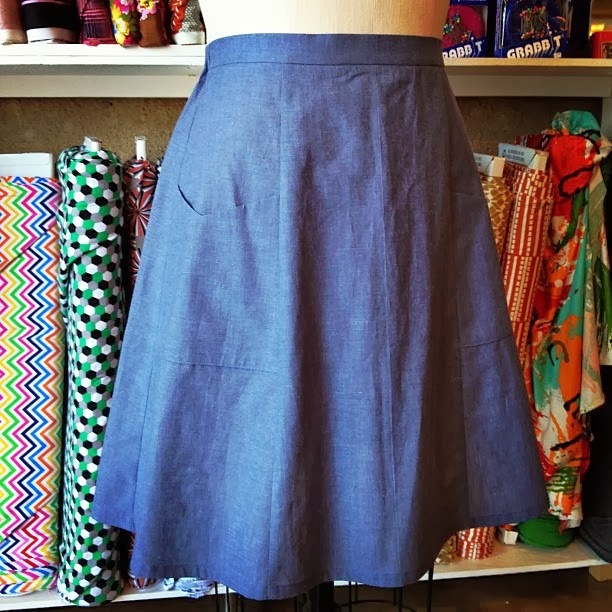 The front features two pockets sewn into the seams and a 1” wide flat waistband. 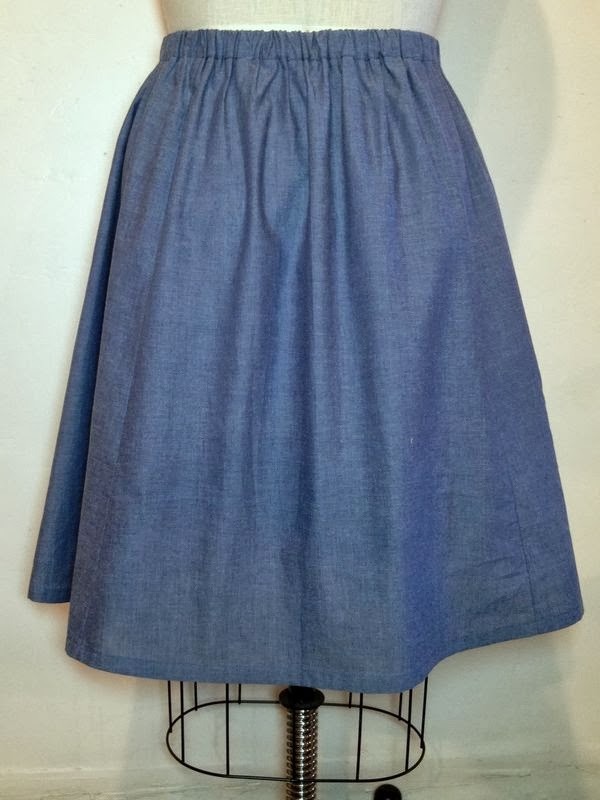 Pockets are self lined, or you can pick a separate fabric for the lining - just for fun or if your skirt fabric is on the heavier side. The back has elastic in the waistband. 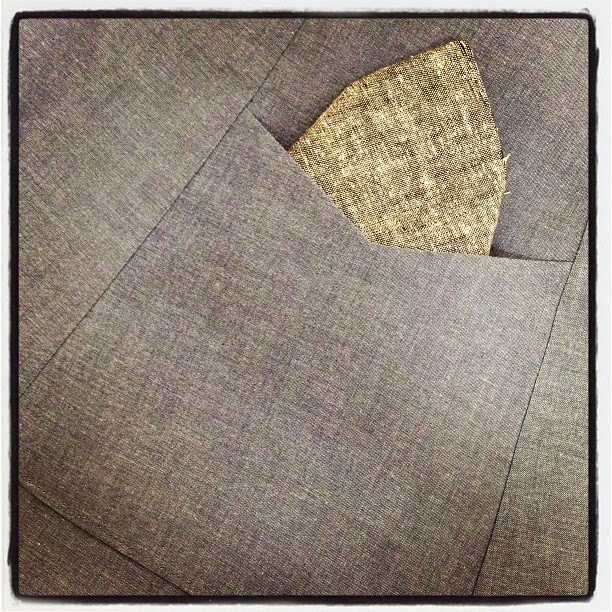 The lower edge is finished with a double fold hem. Choose 18” long (View A) or 22” long (View B). Interested? Call the shop at 323.665.7097 during business hours (11 - 6pm) on either Feb 24th, 25th or 26th (2014) to leave your name, contact info and waist & hip measurements. Based on your size, you will be entered into a category for X-Small, Small, Medium, Large and X-Large. We'll do a random drawing to select the winner for each size category and we will contact you by the end of the day on Feb 30th to confirm and give you the supply list. 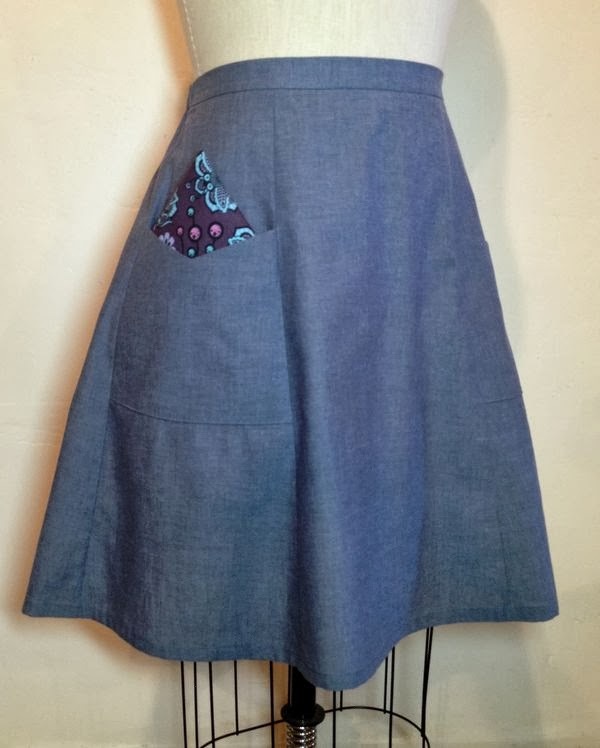 Students chosen will be responsible for bringing their Basic Sewing Kits and materials for making the skirt - instruction and your pattern are FREE! ...and more coming soon from Alexander Henry, Robert Kaufman and Yuwa!